rocking paper & scissors: hambly hambly hambly!!! 95% of the new hambly is up in their store! soooo psyched! if you don't know about hambly, oh my lord! you are in for a total shocker! they are super cutting edge, super diy and super rad! here is a pic of part of their line that just came out! it is so fun and funky fresh! haha. i got the chandelier, owl and robot rub-ons and the pirate ship and chandelier transparency overlays! i can't wait to get it, even though i just ordered it late last night! haha. plus, i'm super psyched on two of the other designs that aren't in yet, the old school tattoo banners with sparrows and the set with the record player and tapes and stuff! i totally had to restrain myself! i'm also super psyched that my friend nicole is coming to stay with me! i have her from tonight 'til saturday! she is going to grad school in london and i just miss her way too much!! she is my partner in crime! 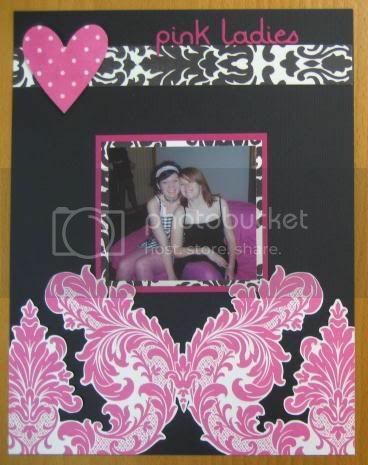 i'm also going to get her into scrapbooking, muahaha! i'm even dragging her to the scrapbooking expo on friday! haha. here's a lo i just did of us! OMG i have been waiting for the new hambly!!! I love it love it! Must go order some now! LOL! Yipee! what a great layout. i am dying to get my hands on some of those hambly rub-ons. i also love your layout below. good luck on making the team!!! dear lord! why can't your store be closer to me???? 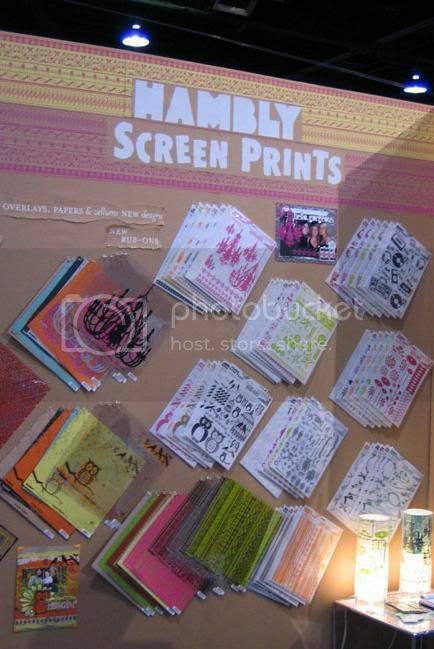 nicloe, that's actually a pic of their booth at cha, not from our store , but we will be ordering some. so psyched to get my hands on it though!